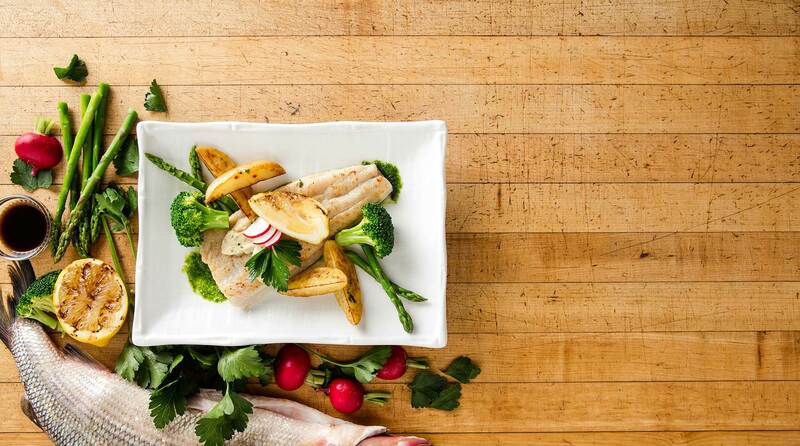 Our talented executive chef handpicks the most delightful ingredients, to create an innovative, yet classic menu. The ever changing and intentionally seasoned plates allow us to offer elegantly prepared dishes that will indulge your culinary cravings. 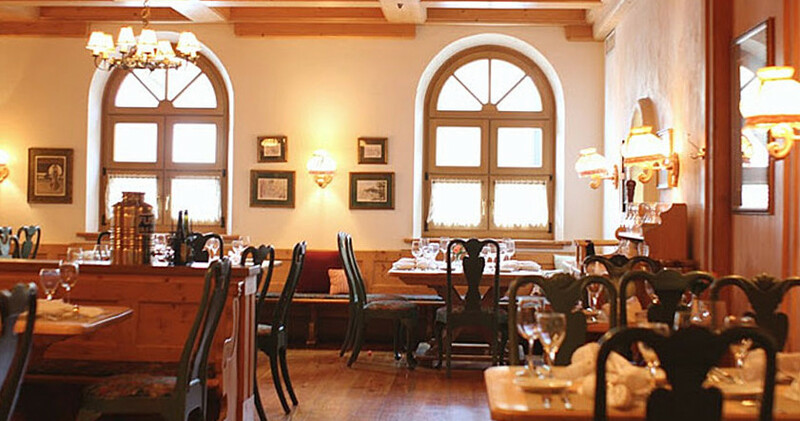 Join us for breakfast, lunch, or dinner, to enjoy classic European dishes and American favorites. Our Executive Chef Anthony Tenhoor is continuously creating exciting dishes with a unique and distinctive European flair. If you’re seeking a more casual and informal dining option, join us in our Café. 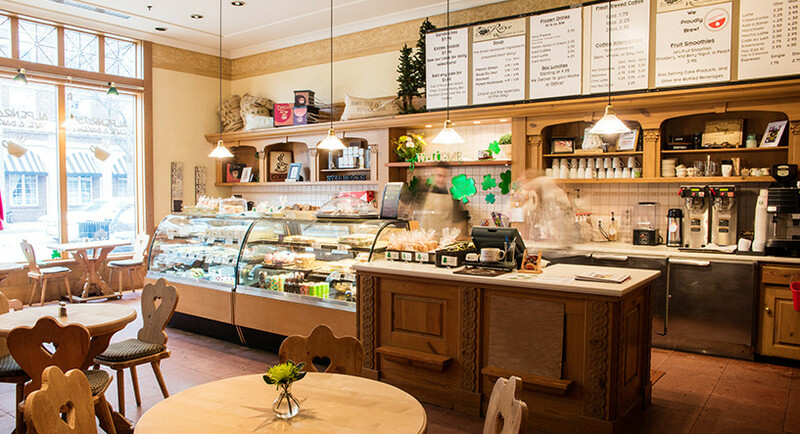 Serving warm and fresh pastries, delectable coffee beverages, and scrumptious deli style items you will find something for everyone. Every event is unique, which is why we offer a wide range of catering packages to help create a flawless arrangement for your next event. Weddings, private parties, cocktail receptions – whatever it is you’re celebrating, we are here to offer delicious food to make your event unforgettable. Depending on the occasion or celebration, you may want the convenience of boxed lunches. Or perhaps a hearty buffet would be the perfect fit. 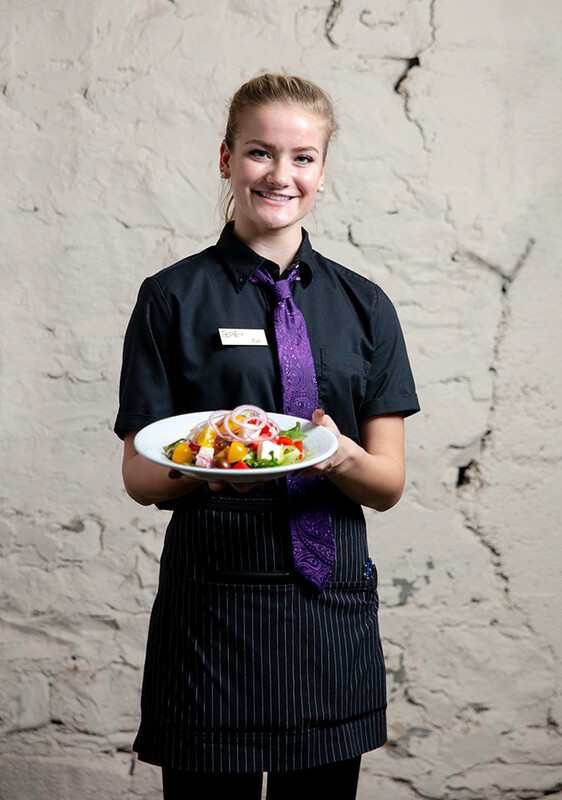 Our convenient options make dining an easy and enjoyable experience wherever you are. Contact us today to discuss your catering needs. There’s a difference between dinner and dining. Imitation and authenticity. Following trends and creating traditions. 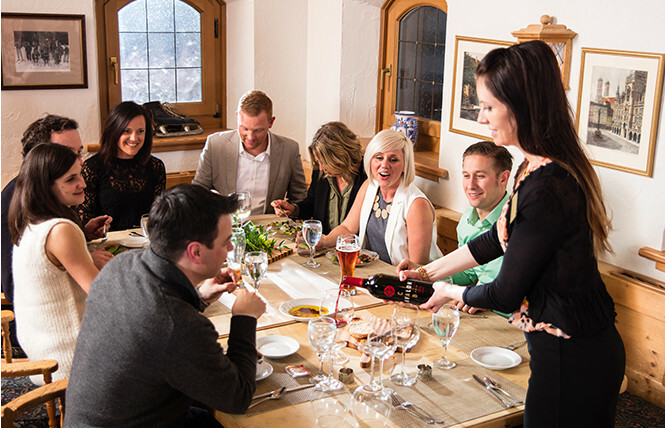 Inspired by the European Culture surrounding the Alps and the warmth of her people, we seek to craft evenings you’ll remember. Alpenrose is a celebration of flavor and life. Our patrons return time and time again to taste far more than their food. They come to taste the moment. They come to taste the alps. They come to celebrate 25 years of dining excellence. Give the gift of delectable dining! An Alpenrose gift card is both a personal and delightful gift for anyone on your list. Purchase your gift card in store, or order online. We would love to give you the best dining experience around! Small party or large, we offer the convenience of reserving your seat in advance. Save time by reserving today. 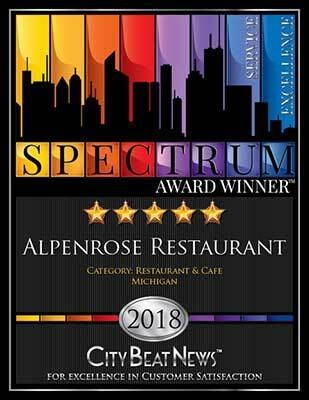 At Alpenrose we are passionate about more than just unforgettable dining. We love our customers too! Sign up today to join our email club, and receive exclusive offers, as well as stay up to date on all the latest events.